Home » youtube » daVinci Surgical Robot Makes Paper Airplane... Yawn! daVinci Surgical Robot Makes Paper Airplane... Yawn! A blog reader of mine informed me about this YouTube video of a surgeon, Dr. James Porter, making a paper airplane using a daVinci surgical robot. 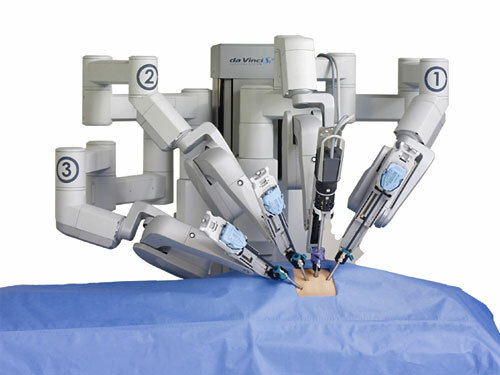 For those unawares, the daVinci robot is used to assist the surgeon in "difficult-to-reach" procedures. It is used in the fields of urology, ENT, gynecology, and general surgery. There is much debate whether the daVinci robot really is worth it. This paper airplane video is a perfect example of why it is NOT worth the $1.3 million price tag. Because I can make a paper airplane with my own two hands that is just as good as the one made by the robot, even if it is smaller than a penny... and I can do it faster and WAY more cheaply. NOW... what would have been a much more impressive video and would highlight specifically what the daVinci robot can do that a human would not have been able to do is to make a paper airplane INSIDE of a wine bottle. I thought the same thing at first. Oh wow a robot that can fold a paper plane. Big whoop. Then i started thinking about angles a human wrist could not make precisely...but still, that wasnt a major selling point either. I walked away, and came back towards the end of the video when the plane was complete, thinking "eh, whatever.". And exactly right before I closed this whole page, my mind is blown. THE PLANE IS SMALLER THAN A DAMN PENNY. Obviously, the Original Poster did not finish the video...as yes, we can all make paper planes...for a lot less than 1.3 million. But I HIGHLY doubt that there is anyone, ANYONE, that can make a paper plane smaller than a penny. The surgical benefits for this are huge. So many delicate and precise surgeries can and will benefit from this. And at 1.3 million, I believe this machine can pay for itself over a matter of time.